A Garden Home Where Outdoor Spaces Are as Important as Inside Life. 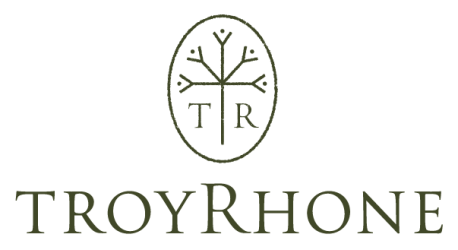 Garden designer Troy Rhone and his wife Randi designed their home and garden in harmony with their life philosophy: enjoy what you have, don’t just focus on acquiring more. As guests approach the home, they are immediately welcomed by stately hedges and an inviting pea gravel driveway. Instead of a visual distraction, the driveway is an integral part of the garden. A walk through the gardens takes you past a white garden, a perennial garden, and a rose garden — reminiscent of English garden design. Elegant statutes and fountains create architectural interest. Each garden area is unique, and they have the feel of “garden rooms” as you wander through them. These beautifully designed outdoor spaces are perfect for entertaining guests, and they show clients examples of Troy Rhone’s landscape design style. The family eats many meals on the serene outdoor deck overlooking the gardens. The vegetable garden is a special favorite, and it provides the family with blackberries, strawberries, blueberries, tomatoes and more. 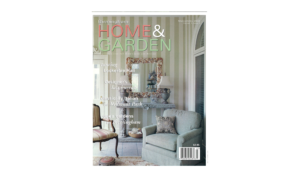 See more photos and read the full article “Garden Home” — published in Birmingham Home & Garden magazine, July 2011 edition. The outdoor areas are divided into garden rooms, and the landscape has a floor plan feel with its strategic use of planting beds and placement of antique statuary. Gravel paths form hallways, and borders seemingly become walls. 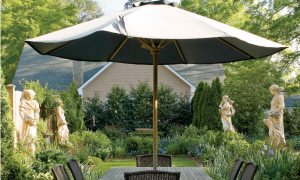 In the outdoor living area, a stone terrace sets the scene with a dining table and umbrella. These are surrounded by arborvitae and voluminous pots spilling over with colorful annuals. A second garden room, distinguished by boxwood hedges framing a carpet of grass, is punctuated by four classical statues. 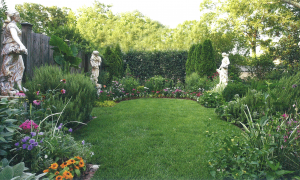 This garden design includes beds of iris, achillea, daisies, and sweet William to add color. Read the full article to learn more about the raised beds Troy created for the kitchen vegetable garden design. Troy also shares details on the types of flowers chosen for each section of the outdoor and indoor garden design. When two actors relocated from Hollywood California to Birmingham Alabama, their backyard garden area needed a total makeover. The house was small, so the family needed an outdoor garden area where they could entertain. Troy Rhone helped extensively with garden design plans to specify the placement of patios, a stone-stacked fireplace and antique door. Troy planned and selected the plants to dignify the landscape and create the perfect outdoor living space. 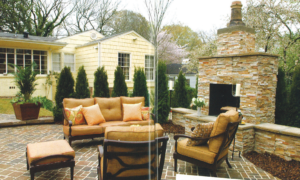 Read the full article “DIY Outdoor Living”—published in Birmingham Home & Garden, Sept/October 2008. The outdoor space was featured on DIY Network’s Indoors, Out. 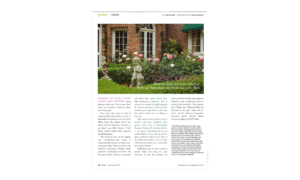 Garden Designer Troy Rhone was featured in the May/June 2002 issue of Birmingham Home & Garden. 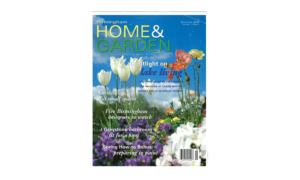 Learn why he got into horticulture and what his design mission is with his garden design. Read the full “Designer Profile” interview here.